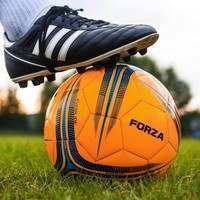 The space-saving foldable mini soccer goals have been designed with galvanized steel side frames and a detachable back bar which allow the mini goal to fold in on itself for storage and transportation. 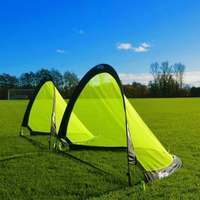 Manufactured with a combination of aluminum soccer goal posts and a blue 3mm UV stabilized polypropylene netting, this mini soccer target goal is fully weatherproof for year-round training sessions. 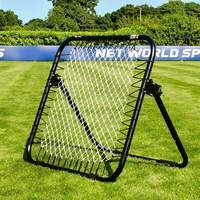 Designed with an essential locking system, this mini soccer goal for target practice is at once easy to assemble and maintain while also being capable of handling the impact of errant strikes. 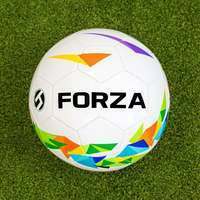 For soccer coaches at all levels looking to freshen up their shooting drills for strikers, or players who train at home, the versatile FORZA 3ft x 2ft mini target soccer goal is a premium piece of training equipment. 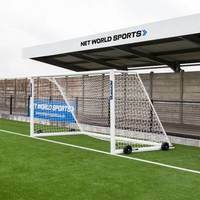 Sized perfectly for small-sided passing games and challenging finishing drills, the mini soccer goals have the durability and quality to revolutionize the way that your team prepares for matches. 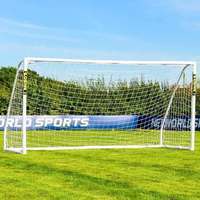 No matter how often you train, the heavy duty reinforced aluminum manufacturing of this soccer goal won’t become damaged. 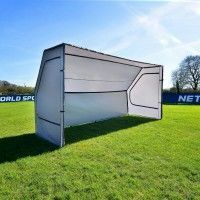 Made from 50mm x 75mm thick powder coated aluminum, the durable soccer training goals can perform throughout the season in all weather conditions. 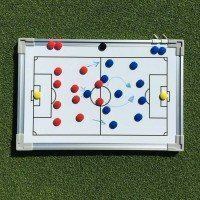 As well as being incredibly strong, the mini target goal is also portable and can be carried with ease. 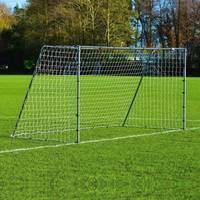 The low-maintenance soccer target goals offer convenience through the galvanized steel side frames which allows them to be stored away with ease after use. 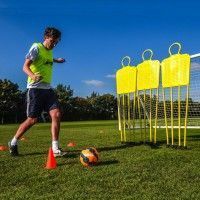 Perfect for soccer clubs of all standards as well as sports centres and schools, the mini soccer goal also features a quick release removable back bar which is incredibly easy to use without any tools required. 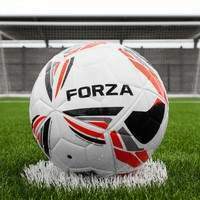 The target soccer goals can be placed into a car for transportation between playing surfaces once collapsed. 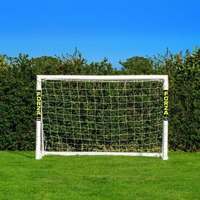 As well as incredibly strong aluminum soccer goal posts, the mini target goal also comes with a top of the range goal net. 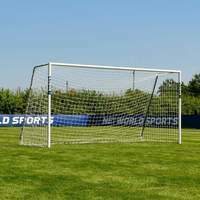 The blue 3mm HDPE twine soccer net is UV stabilized for premium performance during training sessions in all conditions. 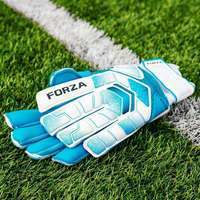 For quick and easy attachment of the blue net to the soccer goalposts, twist and lock net clips are also included. 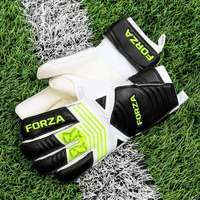 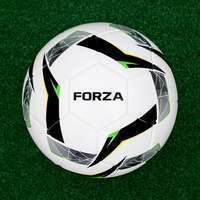 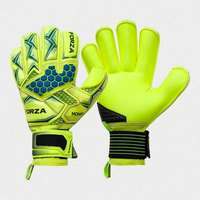 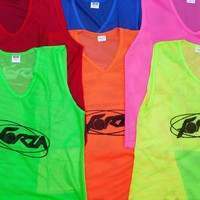 At Net World Sports we offer a fantastic range of FORZA Soccer Training Equipment, with everything from bibs and cones to free-kick mannequins and target sheets on offer.